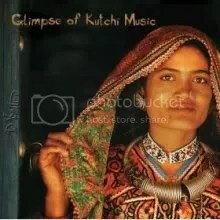 Kutch, situated in Gujarat, India, is a land of few people but it is also known among some as a land of palaces, forts, colorful dresses, bird-rich marshes along with beautiful handicrafts that draw throngs of tourists to its Rann of Kutch. Rann of Kutch is an unusual stretch of marshland spanning an area of approximately 10,000 sq. km that separates Gujarat from the Sind region of Pakistan. Kutch gets displayed in all its potential, beauty and vigor during the Kutch Festival which is celebrated near the days of Shivratri. During the celebration, colorfully attired dancers, music concerts, Sindhi bhajan performances, desert music and shops selling embroideries and jewelry are the main attraction for the tourists. Very little is known about the origin of the Sapera community. 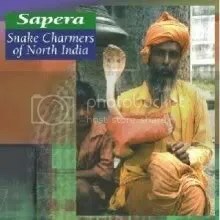 All that is known is that they are a community of snake charmers. They are one of a number of semi-nomadic communities found in North India, which live in camps at the outskirts of most North Indian towns. Shunned by mainstream society, they have made their living through curing snake bites, ridding people’s homes of snakes and showing the snakes to tourists for money while playing their homemade been (or pungi). The been is constructed out of a gourd and is the trademark music instrument of the Sapera community. The following tracks are field recordings of the Saperas playing the been, recorded live at the Pashupatinath Temple, Kathmandu, Nepal. The mesmerizing drone of the been and the driving rhythms of the premtal and kanyeri (percussion instruments) provide through the music a spectacle that has captured the imaginations of Indians and non-Indians for centuries. The valley of Kashmir which is surrounded by the snow-clad Himalayas is one of the most beautiful spots in the world. It is a vast expanse of flat country with rich alluvial soil, lofty and glacial mountains, crystal streams, lofty crags, torrents, broad lakes, shady Chinar groves and pine forests. Kashmir’s picturesque beauty has been immortalized in paintings, songs and poetry. The culture of Kashmir is distinct and diverse, encompassing the various habits and lifestyles of the people inhabiting in it’s region. During their long periods of independence, isolation and solidarity, the people of Kashmir developed a unique culture making everlasting contributions to learning and literature. For a long time, Kashmir was a separate kingdom, and the history of Kashmir is a chronicle of Kings and courts. 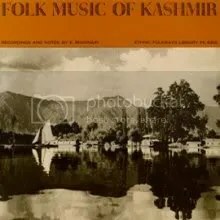 The history and tradition of folk music and dance in Kashmir valley goes back to thousands of years. All the above songs are genuine field recordings, unadulterated and spared from the paraphernalia that accompanies studio recordings. The Malwa belt of Madhya Pradesh lies in the western part of the state with Ujjain as the ancient centre and Indore, currently the largest city. The most interesting aspect of the folk music traditions of the area are the Bhajan mandalis that sing words of the mystic poets, especially Kabir, Meera, Surdas and others. There is a very strong branch of the Kabir panth (a sect that follows Kabir’s philosophy) here, and almost every village has a team of musicians who sing through the nights on a regular basis. There is of course the music that accompanies rituals, ceremonies or is sung at festivals and is very beautiful and rich. Suns of Arqa band creator and leader Michael Wadada has been continuously investigating the supernatural potential hidden in the classical Raga structure of the music of India. His mission is to mix the cerebral and cosmological vibrations of the Ragas with the mother earth rhythms of Nyabinghi drumming. 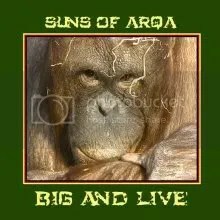 Big and Live was recorded 100% live with no overdubs. The unique vocals are complimented by guest appearances from the Dhrupad singer Reba Bhaduri and Cat Von Trapp. Big and Live is a return to the full organic sound of 1970’s dub, mixed with Hindustani ‘magic’ music.